Hi, I have just bought this 125 and trying to see what's missing from the rigging. There is enough to get the main and jib working but there was no spinnaker or spinnaker pole with the yacht. I have a bag with the harness and harness lines but not sure where they go. Plus also some other cleats and pulleys. 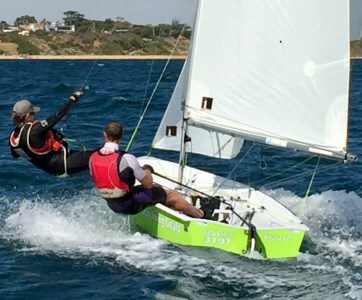 Is there anyone in Hobart near Penna who can show me the rigging setup? I also need to replace the stainless wires as there is some frayed strands. Does anyone have the swage tool?